In fact the third session was exactly like the second. We faced only random encounters and not even a new NPC. Well, there was the deep gnome that had been riding a carrion crawler but he was dead before we found him (and actually being eaten by his steed). Other than that we did not encounter much. But Sami had become prepared for the caves of the Underdark seemed more alive. He spent more time describing them and linked the events to the journey in a more storyish sense. We traveled through huge caves and wriggled through narrow holes. There was much talk about a faesrez (or something like that) which seems to be residue of ancient evil (*dun dun duuuun!*). And after I managed to roll a crit on my foraging roll I even found some glowing moss (or fungi?) that I was able to harvest to act as a dim light source. I have no idea if that last thing was an actual “thing” from Underdark but it was a nice touch by Sami. During the first two session it became apparent that there was little to gain from my lack of nightvision. The other characters needed light also to be able to do their stuff without hindrances and the present of light did not affect on the random encounters table. From my point of view this might be one of the clearest missteps of the campaign. The Underdark just does not feel like a bad place to be. Sure, we are hunted by drow (that should have caught us by now, clearly they are not making an effort), have encountered some nasty beasts and must keep track of our food supply, but it seems like there is little difference in being in Underdark or being above the ground. After watching The Descent when it first came out (and reading the book by same name by Jeff Long) I have been interested in caves and their place in folk lore and as gaming environment. I had high hopes for Out of the Abyss to use similar themes and to be more about horror than fighting random monsters. In a hindsight I really should have known that this was too much to expect from a Dungeons and Dragons campaign but still. I really could see the campaign going that way too. This has actually a lot to do with the player expectations. I have discussed this a numerous times with Sami and other members of our Guild. How the expectations of the players shape and change their experience of the game. I know that one of our group came up with a character concept when D&D5 was published and stick to that even when we decided to play this campaign instead of Tyranny of Dragons. I’m more than ok with this since the player clearly enjoys playing it and can make his superb knowledge of the rules system to work in his advance while at the same time stay in character. However I still think that characters that are built for this campaign could possibly ruin the “horror game” aspect of the game. For example – during first session while being trapped by the drow my character was lowered down to do menial tasks in utter darkness. That was an excellent mood setter. I felt completely out of my safe-zone and when I even spotted something monstrous lurking in the dark I really could grasp the Underdark. Since then we have ran through vast caves and faced nothing but monsters. 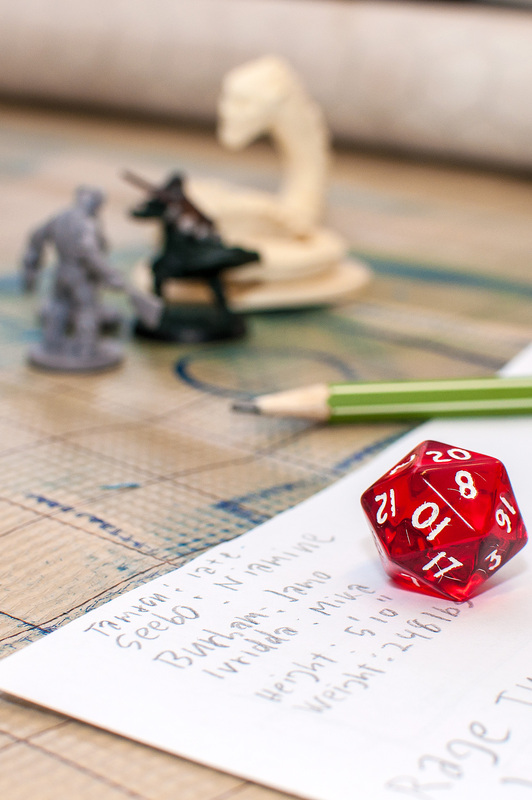 No environmental hazards, no dead ends, nothing but “roll initiative”-kind of situations. I know I might be asking for trouble for calling this out loud but for me this kind of represents the style of gaming I’m not that interested in. When we encounter a gnoll warparty on the hunt and shouting for their demon prince I really would have assumed the best answer to be running. But instead we had cleverly laid out magical traps and a group of heroes fighting against then. It all boils down to the player expectations. I can see that most of the other players are eager to encounter these kind of things. I know they all enjoy ROLEplaying and ROLLplaying as much as I but they have the kind of spark about building their character and seeing them thrive that I simply lack. They were expecting these kinds of random fights, know how to deal with them and what they will do when they get to their next level. And I can enjoy their feeling too but I still feel like I would like something more from this campaing. Now I’m not saying this to complain or to demand changes in the game. Far from it. This is me going through the experience of being a player in this kind of campaign. I have no adolescence memories of D&D – I was always the GM and we played mostly Cyberpunk and ANKH and back then I despised dungeons. It is just that my expectations of the game seem to be quite different from the other players and I can see how this affects my gaming style. All-in-all I am really interested to see where this campaign is going. And even more interested to see where our group as players and player characters is going. I – as a player – am out of my comfort zone with this game and I think it allows me to relate to my character in a weird kind of way that either will improve my gaming experience on the long run or turn out to be something that eventually ruins the whole thing for me. Still I think it is important for me to be clear and open about this. For the last thing I want is to bring down the group and make the game less fun for them. 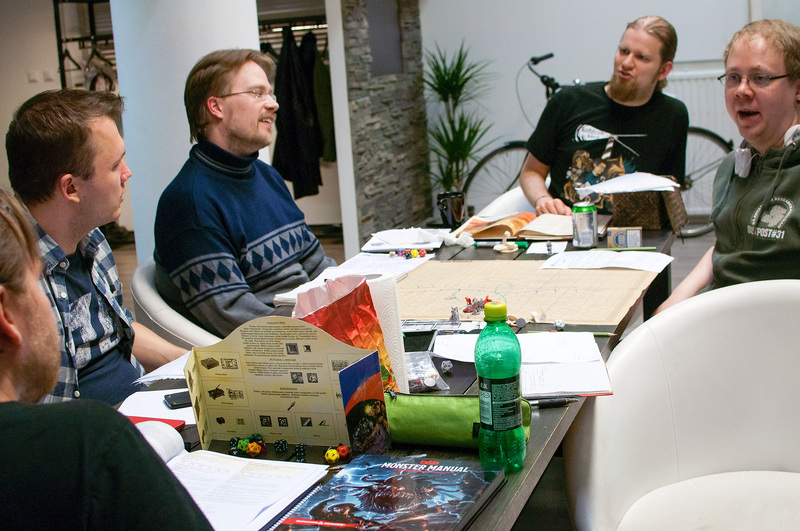 Roleplaying should not be about the needs or wants of one player and/or character but the time shared with our friends. 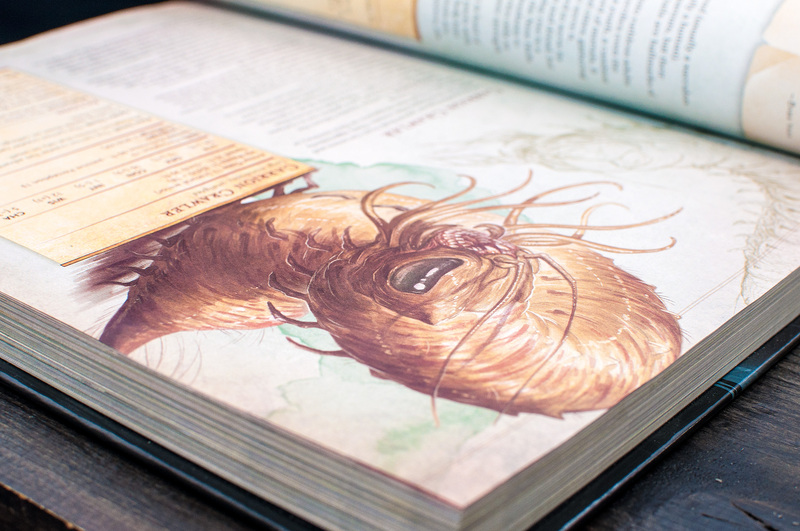 This entry was posted in Dungeons and Dragons, Game Session Debriefing, Roleplaying Games and tagged d&d, D&D5, dm, drow, dungeons, gaming, gm, horror, Out of the Abyss, player characters, players, random encounters, rpg, Underdark, Underdark Without Darkvision by Lauri Maijala. Bookmark the permalink.